In New York, there’s a slim to none chance of being bored. But when those cold and rainy days get the best of you, why not wander around a museum and explore the world of art? 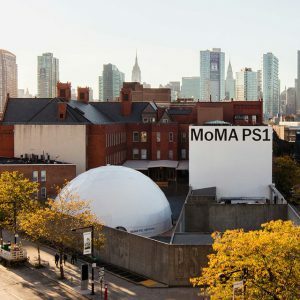 Founded in 1971, the MoMA PS1 is not only the oldest but also the largest nonprofit contemporary art institution in the United States! Originally opened as the Institute for Art and Urban Resources Inc. to later becoming an affiliate with The Museum of Modern Art, MoMA PS1 is a catalyst for exhibiting and sharing diverse, modern artwork with their audience. The MoMA PS1 also offers an array of summer programs including the “Young Architects Program” (YAP) that encourages and nominates around 50 recent architecture graduates, junior faculty, and architects who are experimenting with a new technique, where the winner is encouraged to develop original designs for the MoMA PS1’s outdoor installation. Another fun summer program includes “Warm Up.” This music series is returning for its 21st season and lasts until September 1st, providing audience members with a wide array of performances ranging in a variety of musical genres. Luckily, for Jackson Park residents, the MoMA PS1 is just a short walk to get to! Find yourself lost in the beautiful painting, sculpture, moving picture and other exhibits, or simply walk around and soak in the art of the building itself. If paintings and photography aren’t your medium of choice, enjoy the blend of artistic innovation with the hundreds of elaborate pieces in the Sculpture Center of Long Island City. Dating back to 1928, the Sculpture Center has provided an international forum that facilitates and connects artists presenting new artwork and seeking scholarship. If sculpture isn’t up your alley either, the building is worth visiting in and of itself as it was built originally as a trolley repair shop for the New York City subway system in 1907. 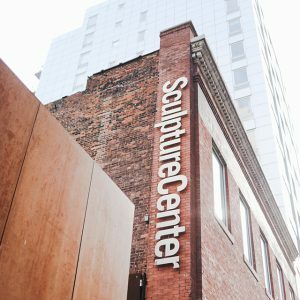 The Sculpture Center is conveniently located a short stroll from Jackson Park making a quick day trip all the more accessible. 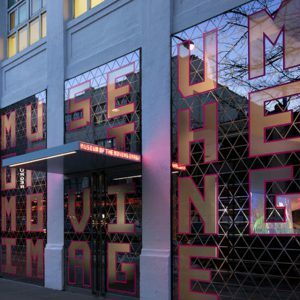 Since opening in 1988, the Museum of Moving Image has been the sole museum in the United States dedicated to exploring and exhibiting the art, history, and technology of moving image. Each year the Museum of Moving Image shares more than 400 films that offer a unique display of digital media. Enjoy films of all sorts, including classic, contemporary and silent, and explore the history of digital media including video games, audiovisual material and even optical toys dating back to the nineteenth-century. Where indoor meets outdoor, the Noguchi Museum provides an intimate setting that blends sculpture, design, and nature all in one. Designed by artist Isamu Noguchi himself, the museum was built around a 1920’s industrial building, featuring indoor-outdoor galleries that are beautifully incorporated into the design of the space. Wander around the running exhibits or enjoy hands-on workshops. 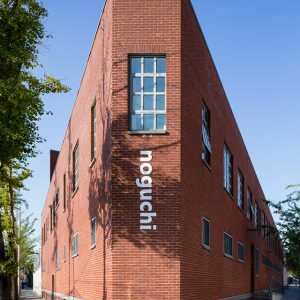 The Noguchi Museum also offers touch tours for the blind and partially sighted, sign language interpretation and an array of art education. See? There’s no such thing as boredom in New York City. Explore the art world of Long Island City today!